Light abrasion and puncture resistance. No need to baby them, but be aware of sharp objects or abrasive surfaces. 10,000mm hydrostatic head – more than sufficient water protection for paddle or wet-weather use (avoid full submersion.) 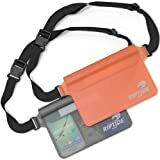 Best used for backpacking, hiking, bike packing and travel. I ordered the small thinking it was as listed: Small (4-Liter) 9" flat x 15" -- it wasn't. I believe it was around 6 x 13" inches. 1 Liter: 4.3 x 9.4 in. 2 Liter: 5.1 x 11.4 in. 4 Liter: 5.9 x 13 in. 8 Liter: 6.7 x 18 in. 13 Liter: 8.6 x 21 in. 20 Liter: 10 x 24 in. 35 Liter: 12 x 27 in. I ended up returning the small size and buying the x-large. 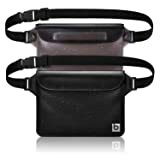 Most people are using these for sporting reasons -- I use this to carry my lunch in my backpack. I bicycle to work, and I've lost three backpacks due to spilled lunches (backpack one: spaghetti sauce stuck in the mesh back part, that wouldn't wash out; backpack 2: overnight oats glass jar, left tiny glass shards everywhere; backpack 3(leather with cotton interior): olive oil salad dressing, this I also tried to wash out, but it kept leaving oil stains on my papers. I can't afford a new backpack every few months, so, this is hopefully my solution. Works great so far. 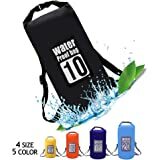 I recently took my stand up paddle board down a river, and put my keys, wallet, and phone in one of these bags. While out, I ended up having to ford several trees that were down across the river. One of those times, my paddle board got stuck underwater, with the bag attached to it. After a couple of minutes I got it out, and despite being held underwater in a fast moving river, all my stuff was dry. 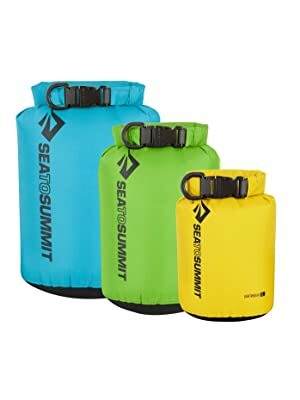 If I need more dry bags, I will definitely buy more of these. My husband and I actually used this bag to do laundry on a backpacking trip. It worked great! Fill with water, add a little soap, shake it up and roll it around, then rinse and wring everything out. Very lightweight, well-constructed, and a nice green color. Plan to use it for its intended purpose in the future as well. 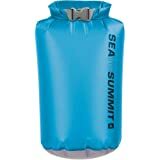 5.0 out of 5 starsGreat dry bags! 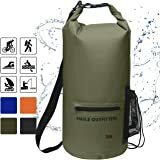 I bought this to keep my clothes dry while backpacking... just wish I had gotten a size bigger. I have three of these now in all different sizes and I really like them! 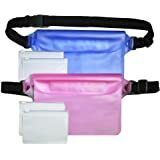 But please note that these are different from a waterproof dry bag. That is, I am sure if you left one of these out in heavy rain, stuff would be damp. 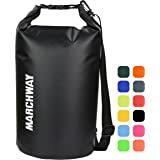 I purchased the Black 13 Liter as a food bag, works great, There is a D-ring near clasp/buckle that allows you to attach carabiner and then run your rope thru the carabiner to hang. Mind you, I have about 5 days of fairly lightweight food. If you pack a lot of heavy food, you might be watchful of how well the D-ring holds up (where its attached to the actual bag) to the heavier weight the first couple of times. 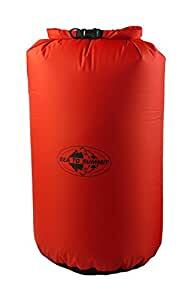 I also found while playing around, my 20degree 800fill sleeping bag fits in this as well, and compresses down to a nice 8" diameter by about 10" long which includes the strap/handle portion. 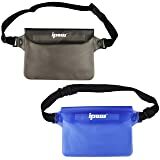 So ordering a 2nd 13L for my SleepSystem. Used this in the Caribbean for a sailing trip. Everything stayed dry when I swam from boat to shore and back again, multiple times. Didn't immerse very deep, however. I have the large (13-liter) and the small (4-liter). The large holds a thin towel (such as a Turkish towel), plus water bottle, phone, hat, flip-flops, money, etc. 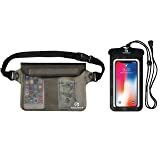 But it's a good idea to put your phone in its own waterproof pouch or case within this dry sack -- double protection is best. 5.0 out of 5 starsWorked better than I expected! I used this product for in-room laundry in a hotel during a business trip. 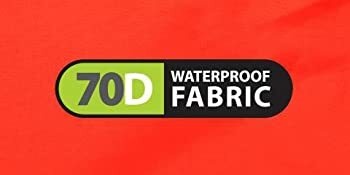 I used a 1/4 sheet of sheet-format laundry detergent (a new item to me) to wash my traveling clothes, using this dry bag to contain the process. It appeared to get the clothes clean, but they weren't visibly dirty to begin with. I should also note that I used laundry sanitizer in the rinse. 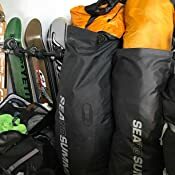 Once the clothes were hung up to dry, I also hung the bag up open-side down on a pants-hanger to dry, and then used it for a laundry bag for the rest of the trip. I wore the washed and hanger-dried outfit on the 28 hour marathon of flights and layovers to get back home again, and everything seemed to smell OK when I got back. 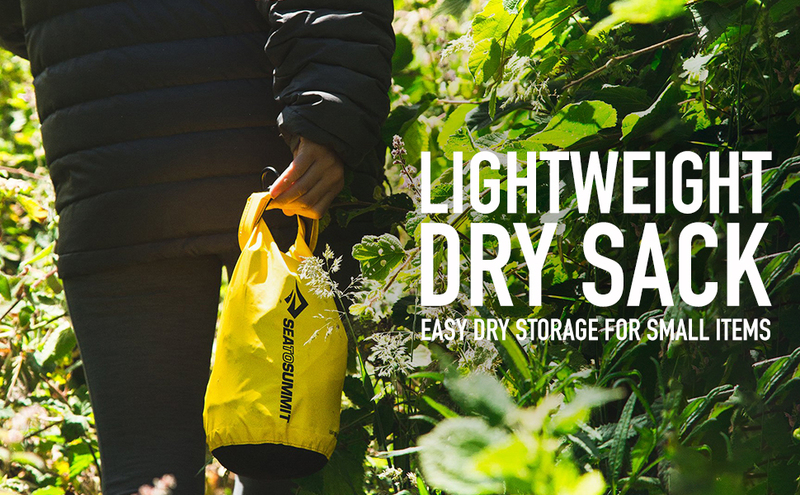 The bag rolls up very small when empty, and easily holds a weeks worth of laundry. The instructions say not to machine wash the bag, but after storing dirty laundry in it for a week, I turned the bag inside out and washed it in our front-loaded on delicate with some other clothing. It appears to have run that gauntlet OK. It now waits in my closet, hanging on a pants hanger. 5.0 out of 5 starsKey camp tool. Big to small. All sizes useful. See photos. I have every size. You never know what you're going to need to pack. I use these daily. One of the top 5 items I throw in my pack.